Formula Drift season 2017 kicked off last week with round 1 in the streets of Long Beach, California. Upgraded cars, new drivers, new cars, this year is going to be interesting. Check out our recap and photo gallery! Round 8 of Formula Drift 2016 championship took place at Irwindale Speedway, CA. And it was spectacular. It was the best event for the ZN6 chassis, it was the final round of this year and track configuration was probably the toughest ever for the cars and drivers combining one 180 degree wall ride and another 270 degree wall ride. Cars and engines broke down left and right and noone could predict the outcome of this event as three top drivers were after the championship title. Formula Drift in Texas speedway marked Round 7 of Formula D Pro series and Round 3 of PRO 2 series. Following tradition here is breakdown of how the Toyota 86 (Scion FRS) and Subaru BRZ teams performed along with lots of photos of this awesome event! Last weekend Florida was rocked by another round of Formula Drift. It is second year when the event is held at Orlando Speed World oval track. Hot, humid and drama as expected. The new Toyota 86 Racing Series is off to a flying start, with a full grid of 38 revved up racers mixing speed and ultra-close dicing on debut at the Winton SuperSprint (May 20-22). Evenly matched on horsepower, aerodynamics and grip, the Toyota 86 racing cars delivered close contests throughout the field, with occasional paint-swapping adding extra excitement and reflecting the drivers' huge hunger for success. 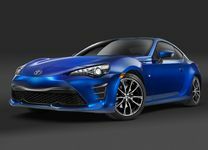 They say that from death comes life, and that sentiment can be used to describe the introduction of the first bona-fide sports car to the Toyota brand’s North American range in over a decade, the 86, born from the demise of the Scion FR-S. Formula Drift in Orlando was just as expected - hot, rainy, and lots of action. 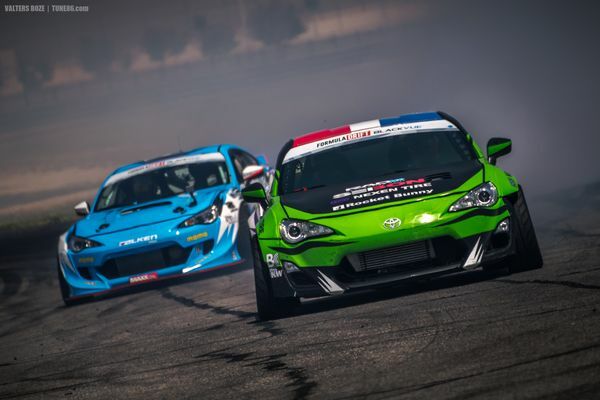 It was round 3 of 2015 Formula D PRO championship as well as the first round of PRO2. Formula D took place in Orlando Speedworld Oval track, which is 20 minutes east from Orlando. Event was packed on saturday, some spectators had to wait more than an hour in a traffic lane to get in. Frs / BRZ / GT 86 sequential bolt-on transmission! Leigh Nash of Holinger Engineering and Troy Burnside from Motul talk us through Holinger's new SG 6-speed sequential gearbox kit for the very popular Toyota 86 / Subaru BRZ / Scion FR-S models. The kit features ZERO installation modifications. This gearbox can be used on the street as this video shows but is primarily designed for racing applications.